Owners of the HTC One M8 in Europe started reported the arrival of a new update to their phones this morning: Android 5.0 Lollipop. Even though dev edition HTC One M8 units have already received Android 5.0 Lollipop a while ago, Europeans will be glad to see that carriers have begun rolling out the OTA to the device. HTC One M8 owners have flocked to Twitter to make their announcement about the new Android Lollipop update and it seems the rollout is pretty comprehensive this time. 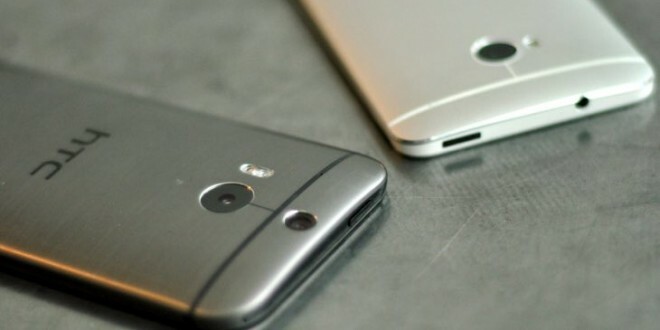 We don’t know when the HTC One M8 Android Lollipop update will start its rollout in the U.S., but it shouldn’t be too far away, as rumors and reports say the first week of February is the decisive time frame. Android 5.0 Lollipop alongside Sense 6 can now be installed on the device in Europe, so users should keep an eye out for when the OTA hits their device. Before installing (any) update, you should make sure to have all your data backed up, your battery fully charged and a stable wireless internet connection. The Android 5.0 Lollipop update for the HTC Ojne M8 weighs in at about 500 MB, so make sure you have enough free space on your phone in case you need it. The Android Lollipop rollout is big news this year, as many fans are clamoring to get the updates as soon as possible, either through official sources or unofficial ROMs from various developers. At least Europe can rejoice in Android 5.0 Lollipop on the HTC One M8, although we don’t know how many regions are involved in the rollout at the moment. Users in the UK and Poland have already reported receiving the OTA, but since the rollout is done in stages, we expect it to land in other countries by the end of the month. We are looking forward to the U.S. release of the Lollipop treatment and once we have some news about that, we’ll get back to you.